The mobile phone industry tends to wind down in December, here is what we were looking at five and ten years ago. 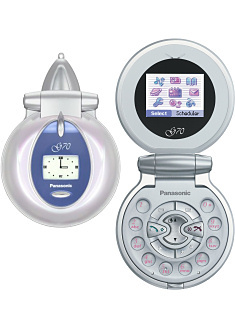 Although they had been on the market for a while, we looked at the Panasonic G70 and Siemens Xelibri 6 "girlie phones", neither was particularly impressive when it came to hardware and although both were quite interesting to look at the whole concept was rather patronising. Another somewhat unusual phone was the LG G7050 which was a strange cross between a slider and a "candy bar" phone. Back in December 2008 there was still only one Android phone on the market, the T-Mobile G1.. so there was still intense competition to be second. For a while it looked like the Kogan Agora would be that phone, but the product was cancelled before launch amid rumours that it might have been a publicity stunt. In 2013 there is quite a lot of interest in smartwatches, but LG were doing something similar five years ago with the LG GD910 watch phone which never really captured the imagination of consumers at the time, but these days a good one will sell for hundreds of euro on eBay. 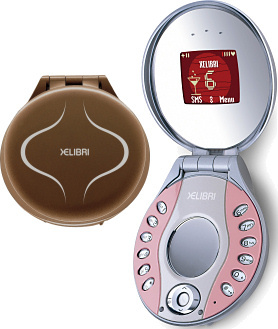 At the more expensive end of the market was the original BELLPERRE phone, a high-end luxury device that allowed a high degree of customisation. Also pitching at the luxury end of the market was the Samsung Ego which managed to look quite cheap at the same time as being stupidly expensive.